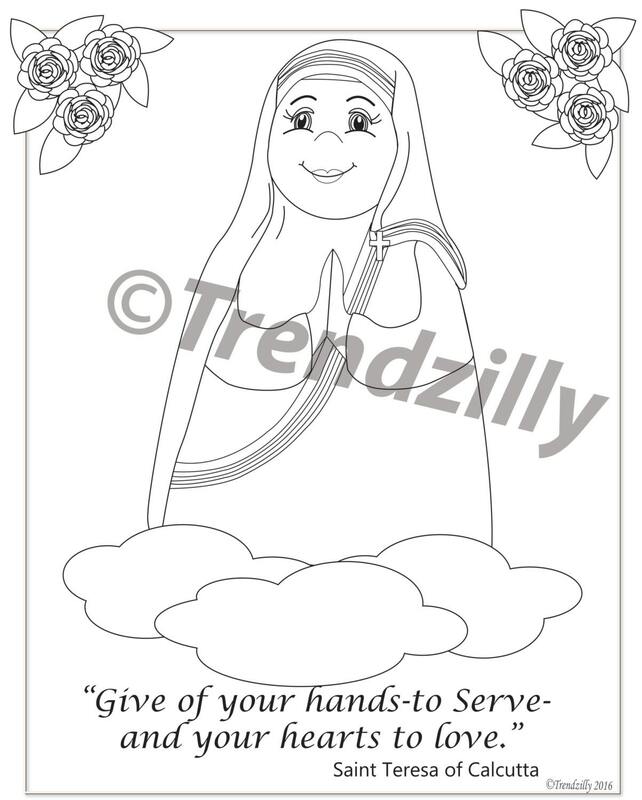 Mother Teresa of Calcutta Coloring Page and Holy Cards, Kids Coloring Page, Holy Cards, Feast Day Cards, Trading Cards, Printable Download. 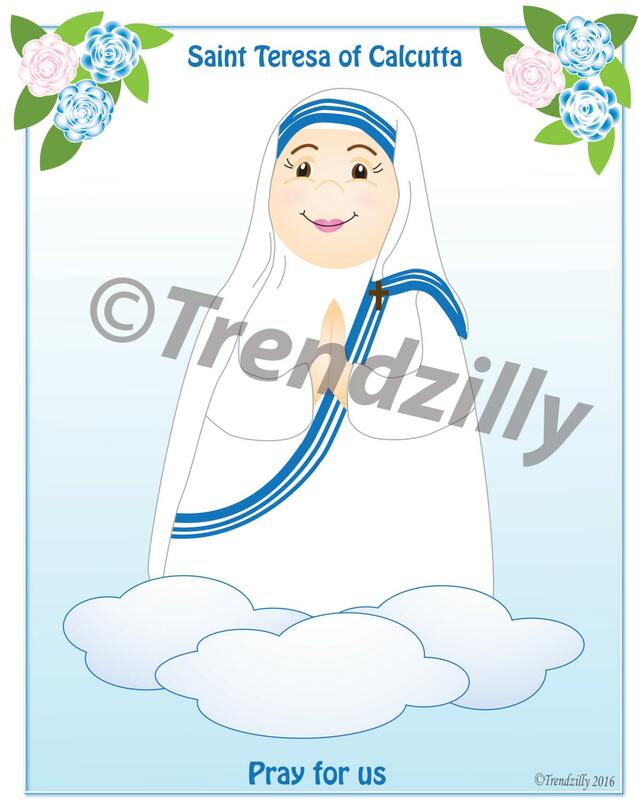 Saint Teresa of Calcutta Soft Saints Holy Cards and Coloring page in PDF format for you to print out for your little ones to learn and enjoy. 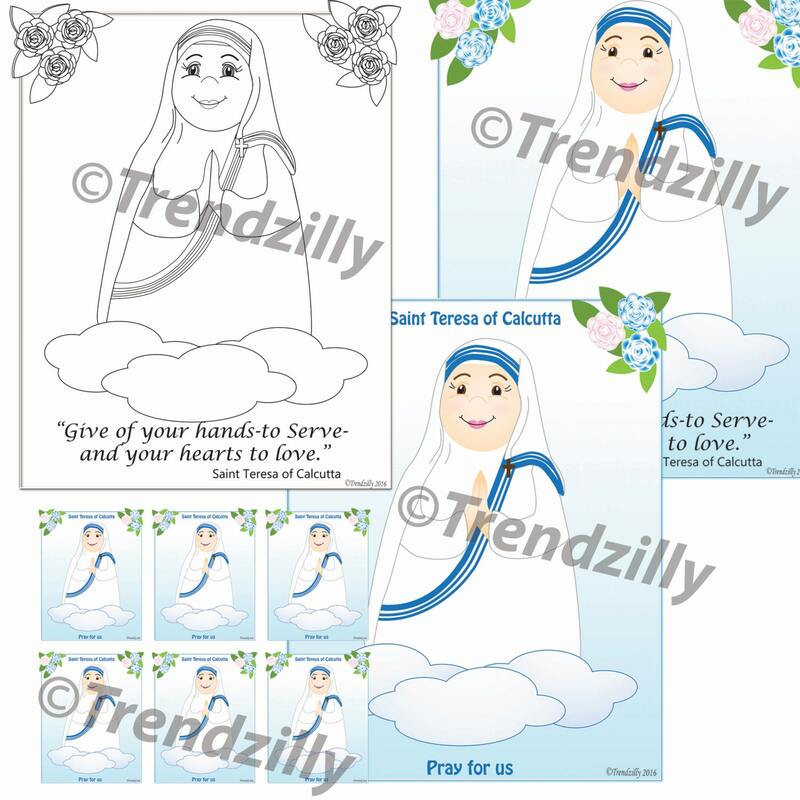 2 full page Illustrated pictures of Saint Teresa of Calcutta, a fun coloring page and Holy/Trading cards. 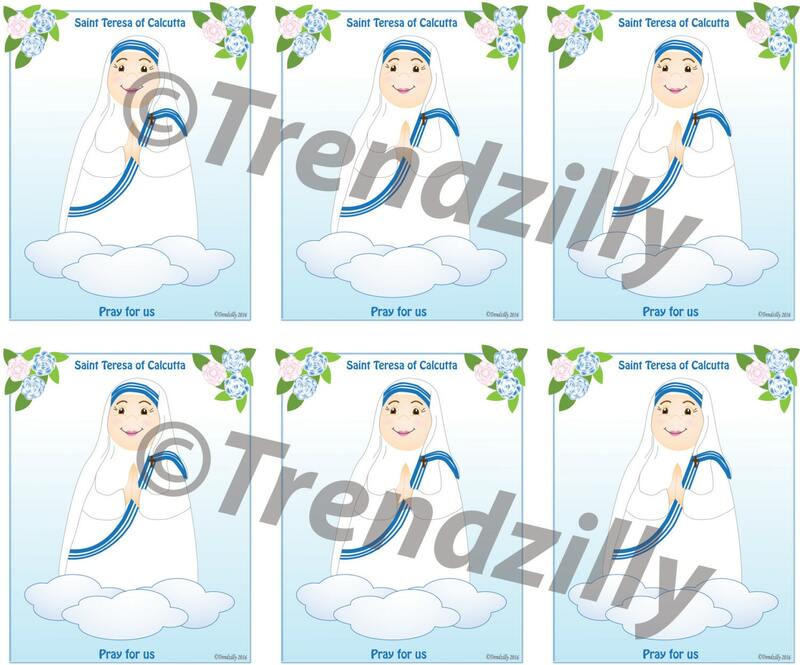 Print on card stock, photo paper, or plain paper. Laminate for a longer life. Use as a teaching tool or just for fun. 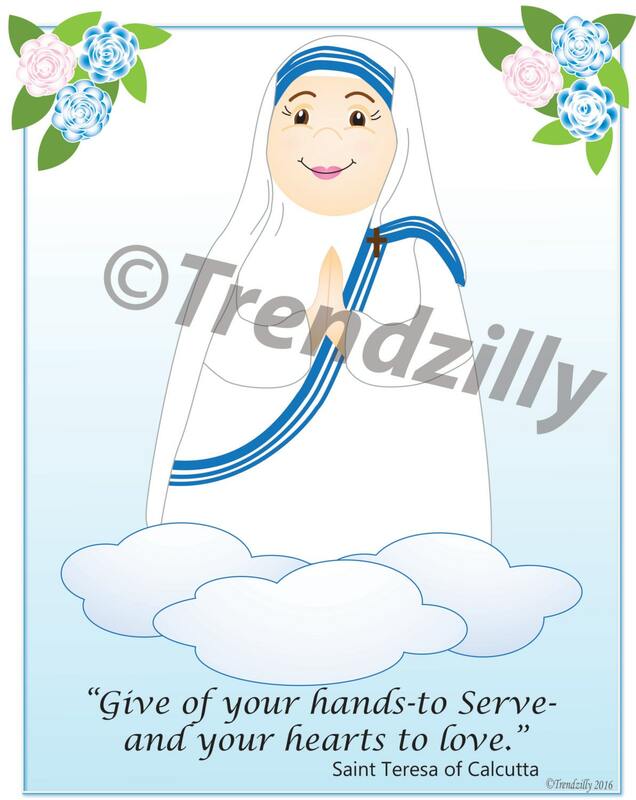 Holy Trading Cards are approximately 3"x 4" -6 on a page.